Over the last 35 years MGF have developed a solid reputation and are recognised as the UK’s market leaders in the design, manufacture, provision of modular and bespoke excavation support systems and exports. We have actively exported products and services internationally for over 25 years establishing ourselves as trusted exporters. 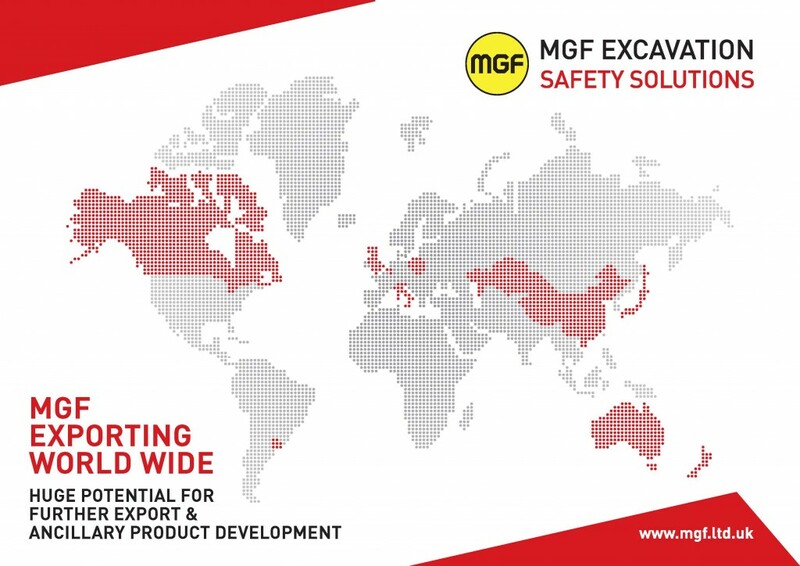 At MGF, there is a commitment to provide our customers with complete engineered solutions and to always promote current best practice for all types of excavation works. We take pride in our ability to treat every enquiry with the same level of customer service, local or global, by dedicating a team to create excavation solutions that encompass all our customers’ requirements. Great relationships with a network of distributors around the world provides the highest standard of design services and ensures our products are at the forefront of complex excavation support solutions.